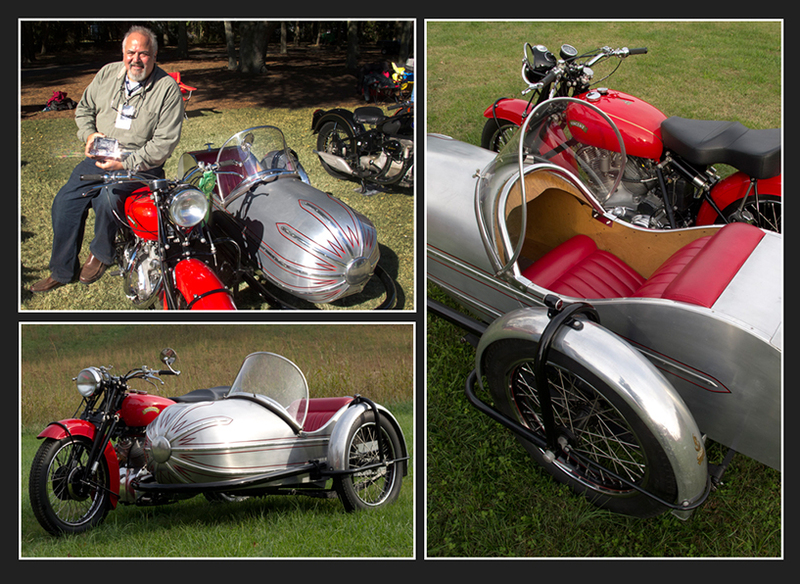 This is one of my personal bikes and was built specifically to pull the beautiful Blacknell Bullet sidecar I purchased from the late John Cheever. I’d acquired the Red Touring Rapide as a basket case about 12 years ago and then last year promised friends in the UK they could use it to attend the Vincent Owners B2B Rally held in Maggie Valley, NC, and Barber Motorsport Park Vintage Festival in Alabama in October, 2014. Finished it JUST in time…cobblers kids, you know. The machine took Best in Class and Best in Show at that show, against a field of perhaps 45 outstanding Vincents, and then in November 2014 at the Hilton Head Island Concourse d’ Elegance I was thrilled it took the Palmetto Award against another field of seriously nice machines. This year, 2015, I took it to the Belleville, Ontario North American VOC rally where it was awarded Best in Show against another very formidable field. The bike is available for purchase. 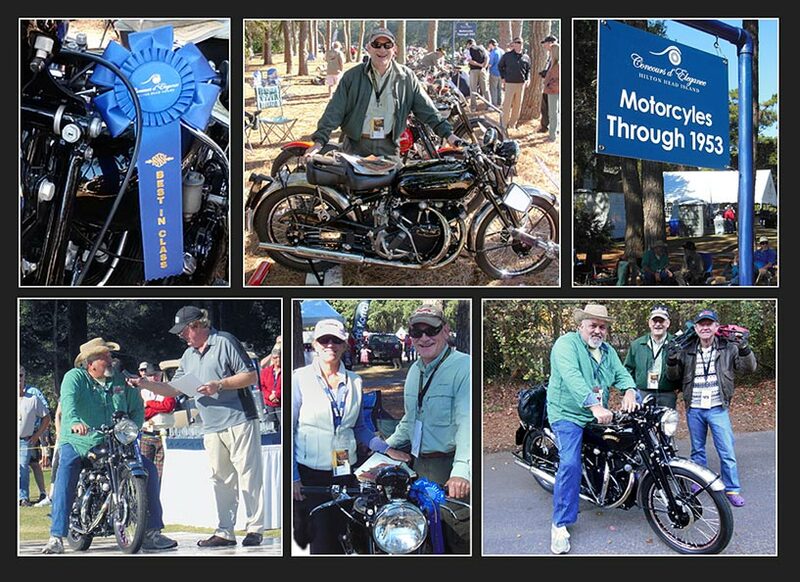 A particularly nice weekend with customers Gus and Jan Lard at the 2013 Concours d'Elegance of Hilton Head Island. We are all quite proud and excited that their recently completed 1950 Black Shadow took Best in Class against some very serious invitation only competition. Thanks to the Lards for choosing me to do the work and inviting me to accompany them to the show! It deals with the post-war Vincent engine in particular, and I think you may find it an interesting read. The Egli-Vincent Website – "The Best Names Behind The Vincent." This came as a bit of a surprise. Nice to be in such good company.